Our range of services include cool roof. •Increased cooling energy use and higher utility bills. •Reduce building heat-gain, as a white reflective roof typically increase only 10-25 degrees F above ambient temperature during the day. •Create savings on summertime air conditioning expenditures. •Enhance the life expectancy of both. 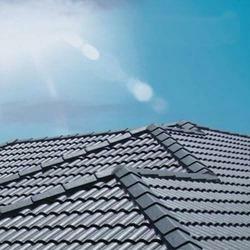 •Enhance The life expectancy of both the roof membrane and the building's cooling equipment. •Improve thermal efficiency of the roof insulation; thus is because as temperature increase, the thermal conductivity of the roof's insulation also increases. Reduce The demand for electric power by as much as 10 percent. •Reduce resulting air pollution and green house gas emissions. •Provide energy savings, even in northern climates.